Climate change news is everywhere. It seems too bigger problem for many people and is the greatest environmental threat humanity has ever faced, but you can do something. 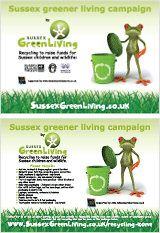 Here are some ways in West Sussex and Horsham you can help….. Most of you will be aware that Nicola Peel and I organised a World S.O.S. Climate Emergency Day meeting on 2nd Feb, as a result SECA (South East Climate Alliance) have been created. SECA is a coalition of local environmental groups across South East England uniting for urgent action on climate change. PLEASE CAN YOU HELP US by writing to your local county councillor to ask them to support a motion to declare climate emergency at the WSCC meeting on Fri 5th April (it is on their agenda). · Action guidance can be seen here. · Contact details of Horsham area councillors can be found on website http://www2.westsussex.gov.uk/ds/cttee/membersaddresslist.pdf. · More complete background on SECA and its objectives can be found on its website https://seclimatealliance.uk/. Horsham asks HSBC to “Stop funding Coal” on Saturday 6th April. As part of the Big Shift campaign from Christian Aid, local supporters will deliver a petition to HSBC Horsham on 6th April. The petition welcomes some recent changes in HSBC policy, but records significant concerns that HSBC continues to fund coal power projects in Vietnam, Indonesia and Bangladesh. All three countries are extremely vulnerable to the changing climate and yet conversely, all hold enormous potential for renewable energy. The latest IPCC report confirms that the world must stop burning coal – the dirtiest fossil fuel. So, while HSBC claims that ‘Together we Thrive’, it’s continued investment in fossil fuels means that millions of people face a future in which it will be difficult to survive. Why not come and sign the petition at the Horsham Repair Café (Quaker Meeting House, Worthing Rd) between 10am & 2.00pm on Saturday 6th April, and – if you have time – join other local supporters in delivering the petition to HSBC (@ 2.00pm)*. *Photos will be taken outside HSBC to send to their CEO. Our single-use plastic recycling scheme which has public drop off bins at the Quaker Meeting House, Horsham and the William Penn School, Coolham. We are receiving increasing volumes of recycling to sort and dispatch. Our current volunteers are struggling to keep up with the supply, which is good and bad. Our plan is to see if a few volunteers can meet on a specific day or evening at the QMH to help sort and box up these waste resources, which we then dispatch to TerraCyle for recycling, raising a little money for the William Penn School and of course diverting rubbish from landfill (in West Sussex it actually gets incinerated in Europe as the landfill is full). If you can help please email me. Please help us to quickly move to a more sustainable future. P.S. Other ways you can help us can be seen here. Here are 23 other ideas about changes you can make which will help reduce the effects of climate change. We offer free environmental whole school assemblies and KS2 lessons as part of our The Future We Want – LESS C02 programme – climate education. Learn more here. This entry was posted in Climate change, Events, Green stats, facts & news, Recycling facts, Single use plastic. Bookmark the permalink.